If you'd like to share some kind words and smiles, write us a review on Google! We'd love to hear about your experience! Dr. Sordelli and her staff are treasures. They have shown such compassion and insight in working with our son, who is autism spectrum. In fact, he looks forward to office visits and talking with the staff — which is awesome because he often has a hard time adjusting to changes and new situations. They have vastly improved the shape of his teeth, cajoled him into improving his diet and made him feel like a success in the bargain. This office is a place of blessing. We sure thank God for you folks. If you have to have an implant, then there is no one that I could give a better reference for than Dr. Sordelli. He is one of the most considerate, kind and thoughtful doctors I have known. I have had a lot of dental work done in my lifetime but have NEVER had a doctor call the next day or that evening to check and see how I was doing. That goes a long way in my book. He also is very considerate when he knows your financial state and works with you. He also has a wonderful staff that works for him and I am sure that that too reflects on the type of man he is. I have to say this too….he is not too bad to look at and gives the best hugs! At my age, that means a lot! Dr. Aurora Sordelli has been our family orthodontist for almost seven years. We are on our fourth (and last!) 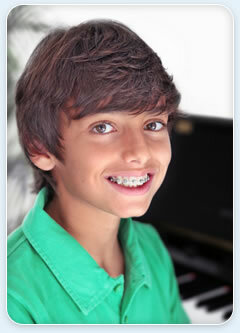 child's braces and have been thrilled with all the beautiful smiles. Dr. Aurora is kind and gentle with the kids and she makes them feel comfortable. Through the countless appointments over the years, we have found her and her staff to be on time, available when needed and professional. We have recommended her to several friends and they have thanked us for the great referral. My husband sees Dr. Aldo, so we may hold the record for the family with the most patients! Dr. Sordelli is amazing! I have noticed tremendous improvement in my bite since I have gone to her. She is a great thinker and comes up with super creative ways to help kids! I have been incredibly fortunate to have found the fantastic duo of Dr. Aurora Sordelli and Dr. Aldo Sordelli. I felt like a fool after having traveled all over Houston (literally) searching for the right orthodontist who would take care of my structural problem and not just focus on a cosmetic fix. After visiting six highly recommended orthodontists, I found Dr. Aurora Sordelli a very short distance away from my workplace by pure coincidence. She performed a careful study of my face to determine how she could repair the damage done to me by an awful ortho treatment that inverted my bite when I was a teenager. After careful examination she explained the risks (given the fragility of my front teeth roots) and what the action plan was. I simply put the fate of my teeth in her hands and that has paid off tremendously. I don't think I could have ever found the superior treatment she has given me for a reasonable cost: she monitors my progress via CT scan every few visits and is very considerate to my personal needs (for instance putting clear braces on to retain my professional look, accommodating to my unusual schedule). I had to move to Rio de Janeiro when I had a year left of the treatment. I decided to continue the treatment with Dr. Aurora Sordelli as I won't trust my teeth to anyone else. I currently combine my business and personal trips with my scheduled ortho appointments just so that Dr. Aurora Sordelli can finish the treatment. I trust her so much that when my daughter started developing the same problem I had growing up (i.e. her canines were not coming out) I immediately took her to Dr. Aurora Sordelli, who performed the same study she did for me and determined the correct course of action. A year and a few months later (treatment delays were caused by our move to Brazil), my daughter's braces are off, and her canines are coming out! She has a wonderful smile, and more importantly, she won't have to face the three dental operations I have had in my history so far. Now, the second half of this fantastic couple is just as impressive. Dr. Aldo Sordelli placed an implant in place of one of my missing canines after we had opened the space through Dr. Aurora Sordelli's ortho treatment. The operation went incredibly smoothly and Dr. Aldo Sordelli was not only highly efficient (I was in at 7:30 am, out by 8:00 am) but he also called me for a post-op follow up the next day (a Saturday) and kept in touch thereafter to make sure everything was ok. This took place before our move to Brazil. I came back to Houston to place the abutment in October and while testing the implant I felt a twist. Knowing how troublesome my teeth are I knew the implant had not set properly, somehow I expected that given that nothing to do with my teeth has ever been easy. Dr. Aldo Sordelli and I discussed the options and decided to replace the implant with a thicker and bigger one. The second operation was just as smooth as the first one. The implant set so well that even bone grew over it. Dr. Aldo Sordelli was highly professional, he only charged me once for the implant and he followed up after the operation with incredible care. I have had the best experience with both doctors, so far with two patients and surely will have a third when my son is old enough. I cannot recommend them enough. Thanks to the fantastic duo I finally have a complete smile after 20 something years and my daughter won't have the same problems I did. I've been to several dentists over the past month because of loose teeth. I was finally told to see a periodontist and was referred to Dr. Aldo Sordelli. I was seen at the time of my appointment and was told that I would require surgery I felt that I was in good hands and made an appointment for surgery in a weeks time. I feel confident about my surgery and looking forward to saving my teeth. Dr. Sordelli and his assistant Veronica did an outstanding job in taking me through the Sinus Lift Procedure. I was nervous about the procedure but Veronica comforted, cared for and kept me informed. Dr. Sordelli was outstanding and completed the procedure without a flaw. Afterwards, I experienced little to no pain. In the evening, Dr. Sordelli telephoned to see if I was okay. I appreciated their attention to detail. The Sordelli office is the perfect mixed practice for anyone considering Orthodontics; including us that are applying braces in our later years (I am 40). It is a great office run by a very professional staff that exceeds in all areas of customer service. I have received excellent, professional service from Dr. Sordelli and his staff at both of his locations. I definitely would recommend to anyone! They treat you like Kings and family!!!!!!!!!! I was referred by my dentist to Dr Sordelli. I felt the office was organized, easy to find and park and that the attention by the periodontist dentist was professional and individual based. He is really trying to do the best he can with the circumstances and did not just rush to judgment. I was very pleased with all aspects of Dr. Aldo Sordelli and his office staff. He took the time to explain all aspects of the treatment process. After each visit and treatment, he was very gracious in taking the time to personally call me at home to see if everything was OK. I would wholeheartedly recommend his services to family and friends. He further assisted in a referral for a qualified dentist to complete the process. Friendly and Professional with excellent credentials. I am 57. I was told by my dentist 10 years ago that I might need gum surgery but I managed to get by with regular cleaning until a few years ago. Following a referral from my dentist, Dr Sordelli provided me with gum surgery due to my having pockets measuring 6 and 7 and not getting better. His surgery was professional, timely, and without complications. Now, a year or so on, regular follow-ups with Dr Sordelli have given me clean and healthy gums. I currently have only one 5 measurement, the majority are 2-3. My husband and I were most impressed with the Professional offices of Aldo and Aurora Sordelli. Aldo was very clear about my issue and proposed a sound and reasonable treatment plan. This office is totally worthy of full trust and confidence.